A lightweight bout between Terry Brazier and Chris Bungard has been added to Bellator Newcastle next February. 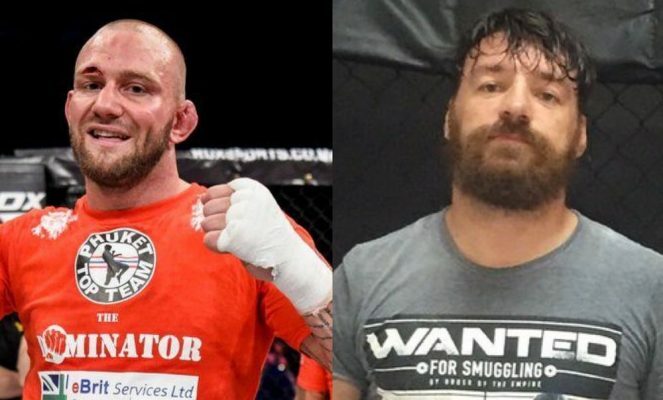 The Bellator Newcastle card is taking shape and the latest bout to be added is a lightweight bout with former double-weight BAMMA champion Terry Brazier taking on Chris Bungard. Multiple sources confirmed the bout to MMANytt following an intial report by Metro.co.uk. Brazier (10-1) previously held both the BAMMA lightweight and welterweight titles before signing for Bellator earlier this year. “The Dominator” is currently riding a nine fight win streak with victories over the likes of Alex Lohore, Rhys McKee and Walter Gahadza. Brazier will be making his Bellator MMA debut when he steps in the cage to face Bungard on February 9. Bungard (13-4) is currently riding a three fight win streak having picked up wins over Danny Nash, Nataniel Roberto and Niall Smith. The Scot fights out of the Scottish Hit Squad under Brian Gallacher and alongside UFC light heavyweight Paul Craig. The fight with Brazier will be Bungard’s first under the Bellator MMA banner. He previously fought in BAMMA, On Top and Made4TheCage. Bellator Newcastle will be headlined by a lightweight bout pitting Ryan Scope against Patricky “Pitbull” Freire.